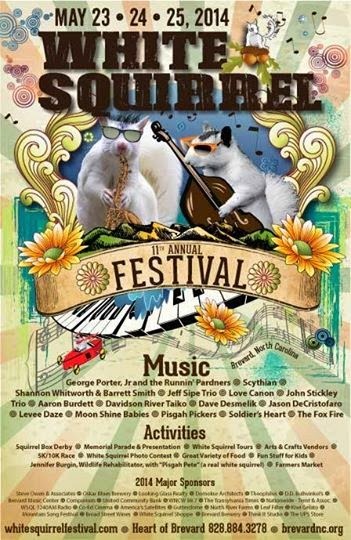 We had the best sound check ever at The Wet Squirrel Festival! :) Ha Ha. And...thanks to those brave souls who came our way on Sunday. We do appreciate all the effort that was put into making it a great Festival anyway! We'll be back out at The Red Lion this Friday May 30th. 6:30-9:00pm. looking forward to a nice evening of dinner and live music at The Red Lion. See ya then! Jerry and Jim will be out at The Red Lion Inn this Friday night, May 23rd, with a special guest! (Suzanne can't make it this week). Jerry's musical pal, Rick Nash will be joining them for great colorful accompaniment! So come on out for good times, great food and this weeks tasty musical treats...6:30-9:00pm.. 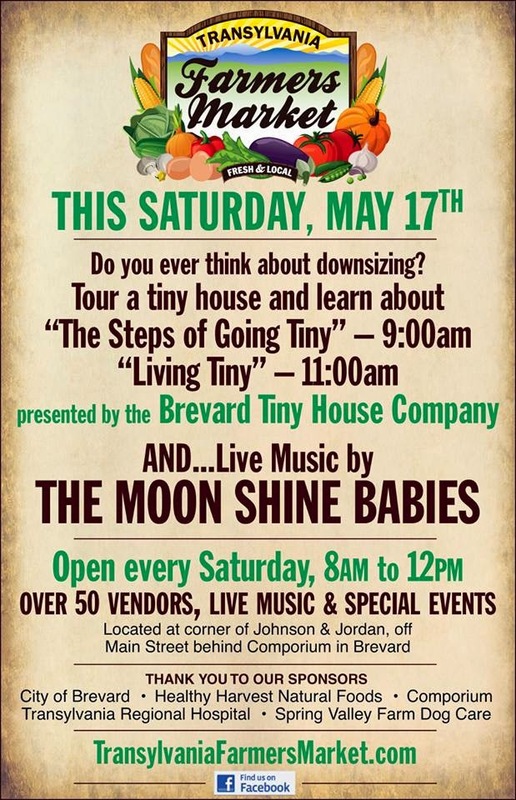 This Sunday May 25th, The Moon Shine Babies will be playing The 10th Annual White Squirrel Festival! The band is so honored and delighted to be invited to be part of this year's festival. This year, Jerry, Suzanne, Jim and Sarah will be joined by Jonlyn Lynville and her fine Fiddle playing!! Not to be missed!!! Jerry and Suzanne are playing the Transylvania Farmer's Market This Saturday morning, May 17th, from 9-12pm. The Farmer's Market is a delicious weekly dose of local goodies, produce, Arts and great community vibes! Yeah...can't wait! Later on Saturday, we'll be out sharing good times with Jim et al at the Red Lion Inn. Always fun times...! We play from 6:30-9pm.